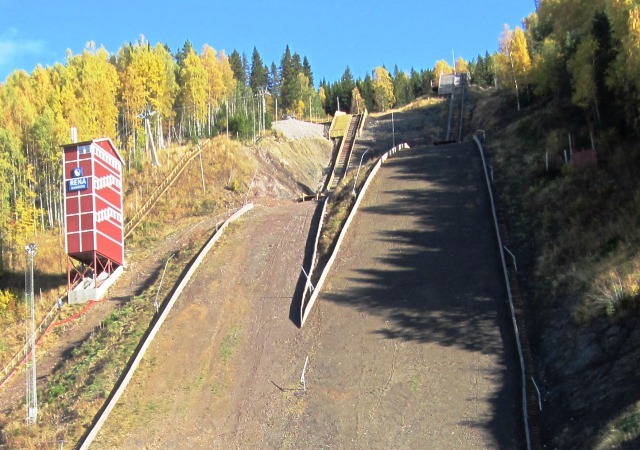 In December 1934 Rena IL in Åmot community, which has a very long lasting and rich ski jumping history, could complete the construction of Renabakken K60 and half a year later K90 and since has got one of the largest ski jumping centres of Norway. 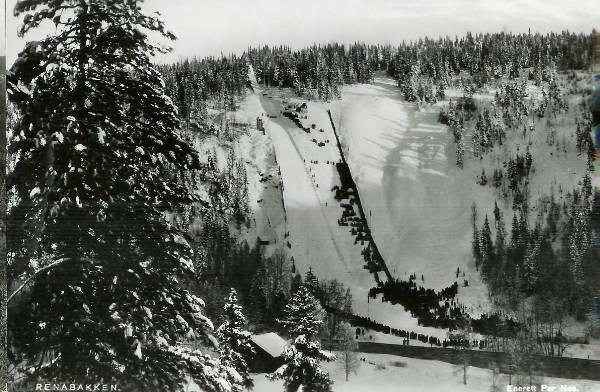 This was expanded with two smaller jumps K40 and K20 in 1939. 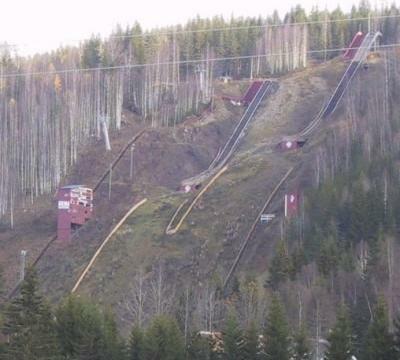 In 1964 the ski jumping facility was converted and in 1972 the K111 was built up as a mini ski flying hill. 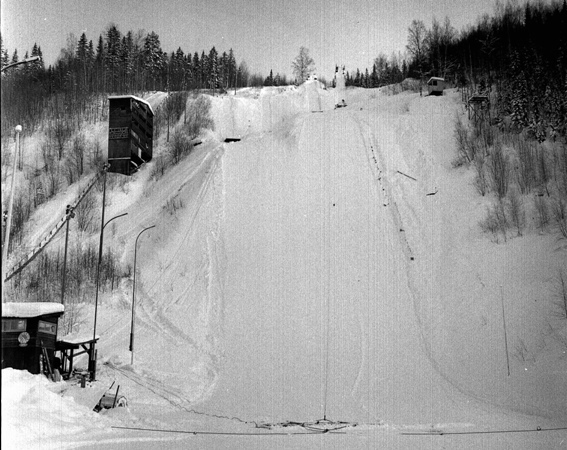 In the 1970's, before the introduction of the ski jumping world cup, international competitions were held there annually in March. 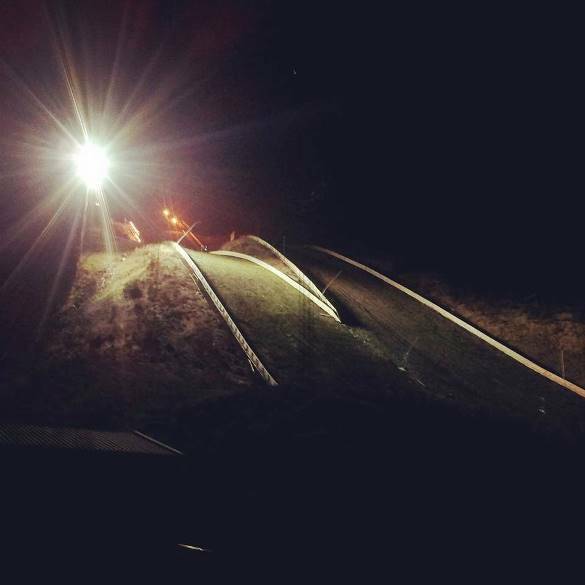 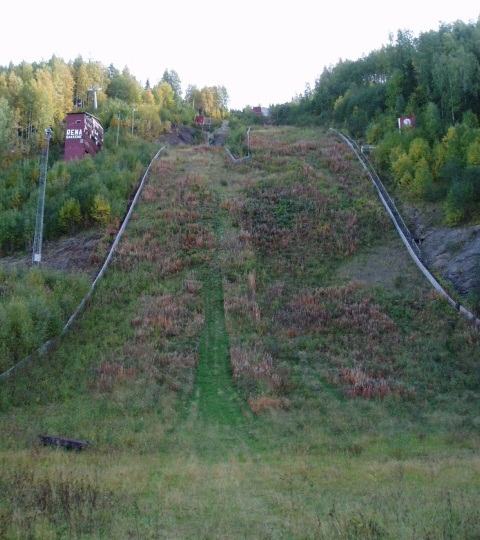 In 1990's the large and normal hills (at that time four hills with K111, K88, K70 and K50) were converted and since Renabakken ski jumping facility had been consisting of the jumps K120, K90, K40, K25 and K15. 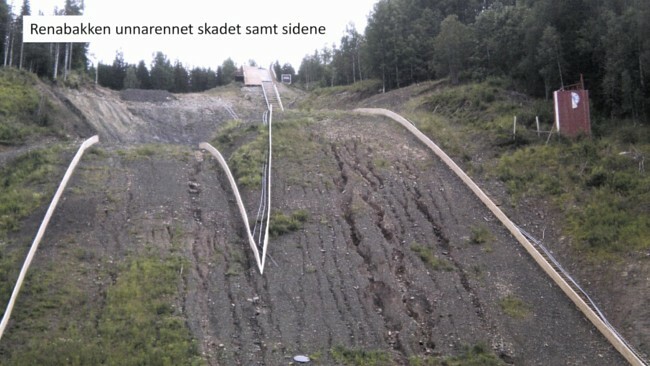 Altogether, 10 Norwegian championships have already been hosted at Rena, but in order to keep the ski jumps up with the international standard, after their hill certificates had expired in mid 2000's, both larger hills should be converted into HS 111 and HS 139. 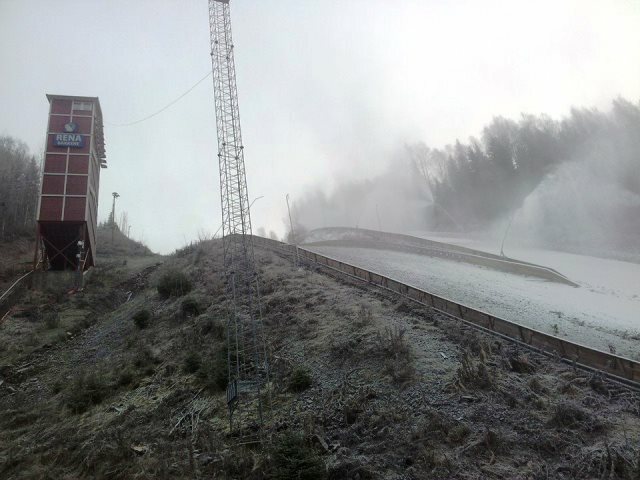 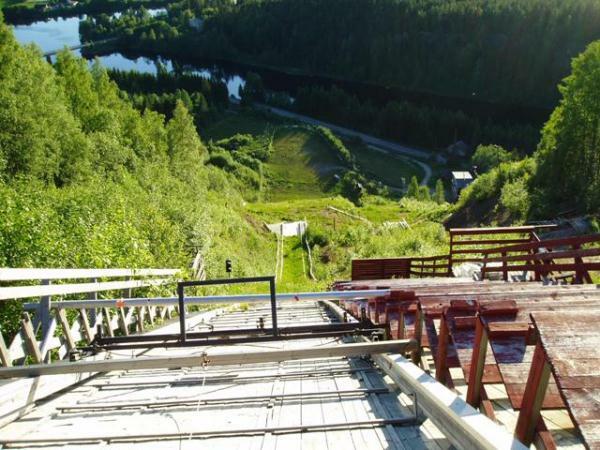 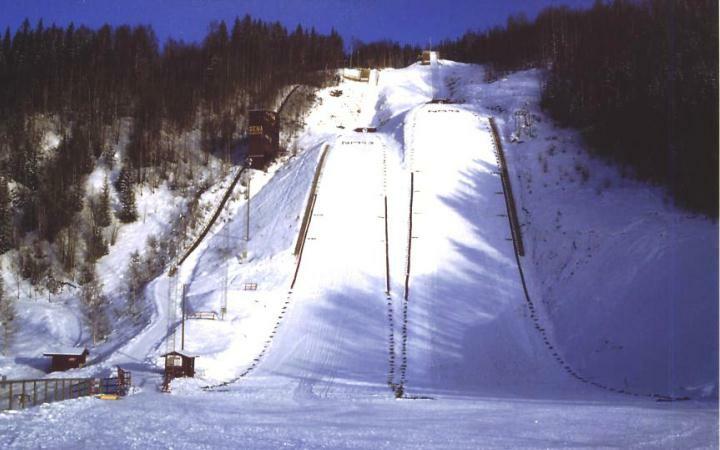 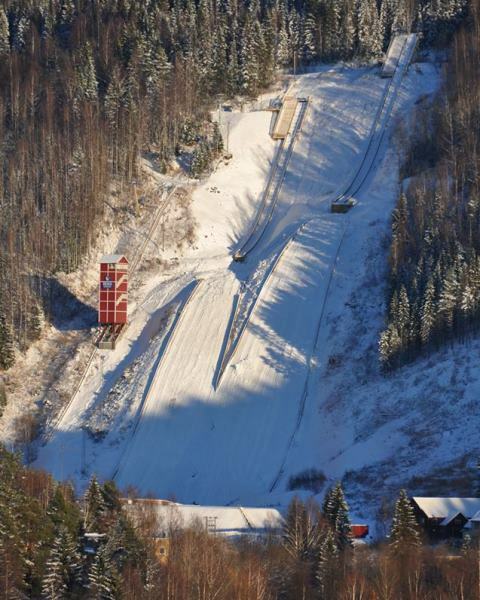 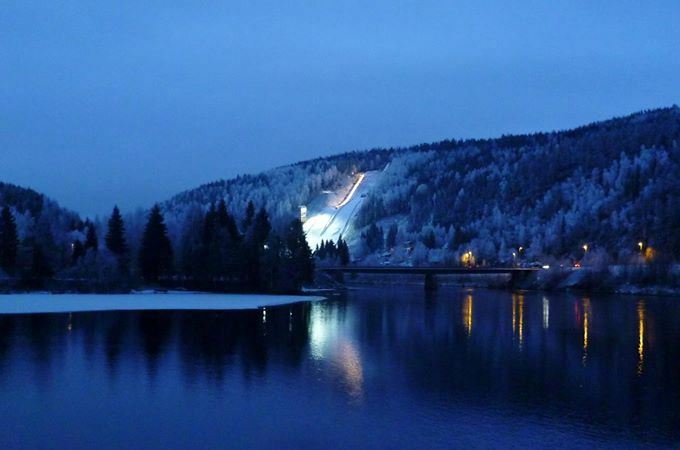 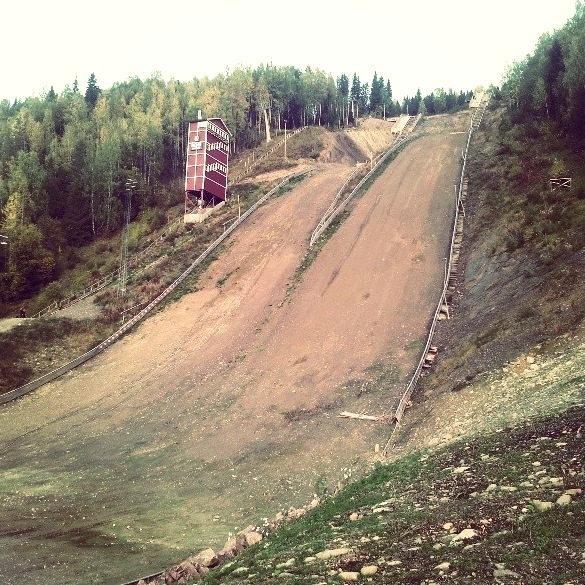 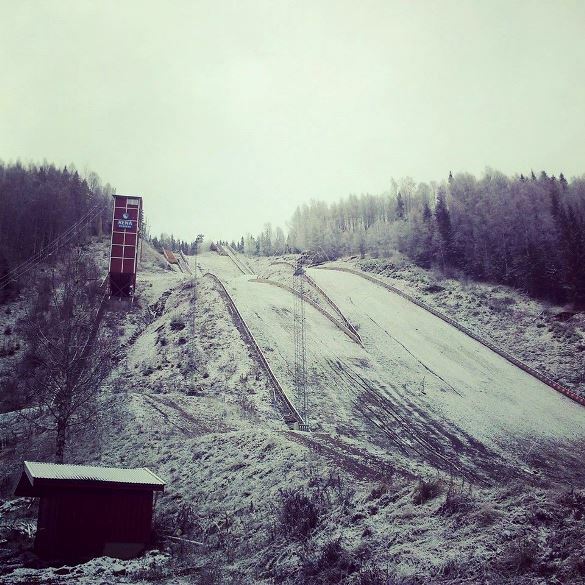 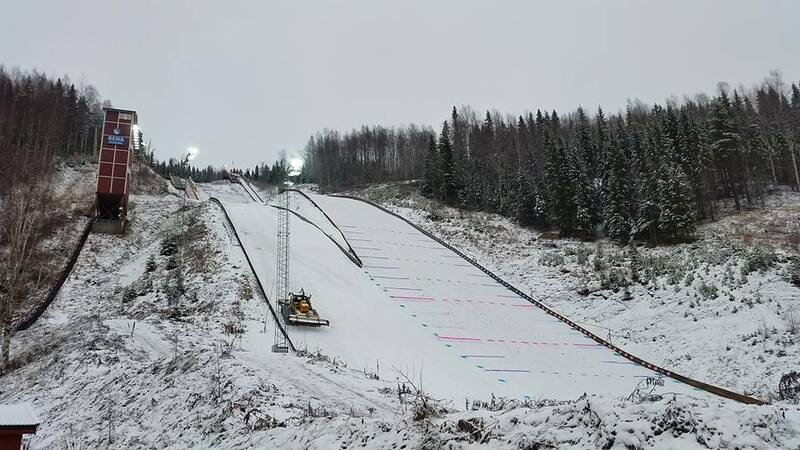 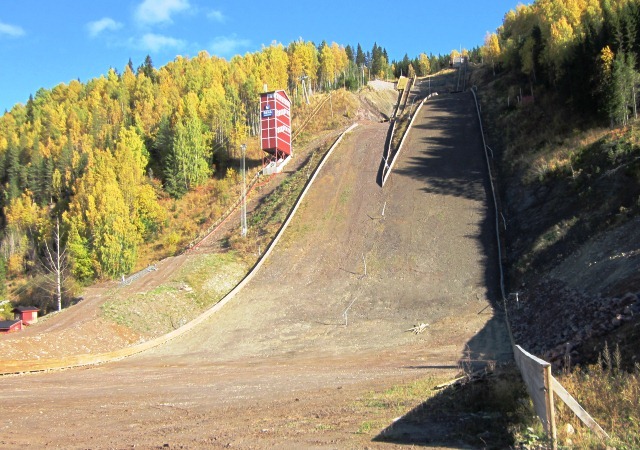 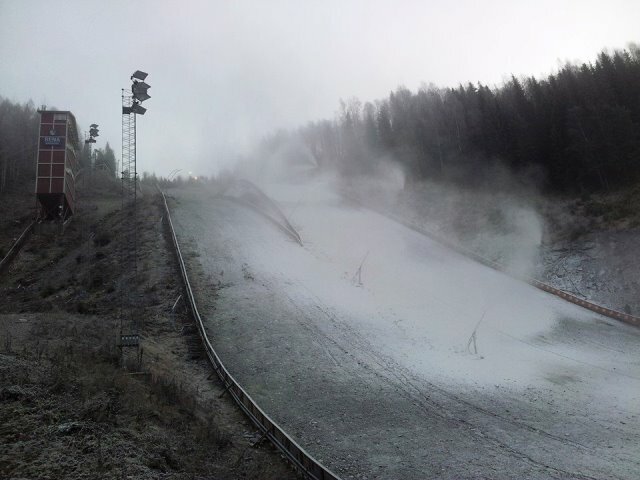 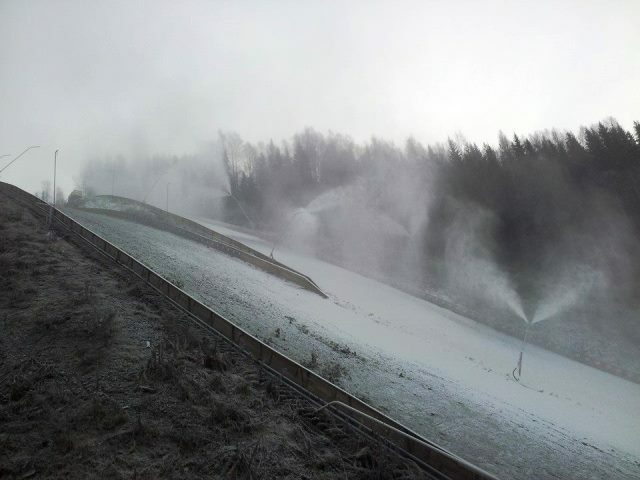 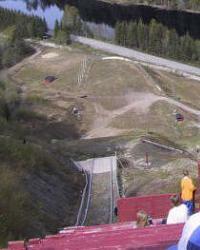 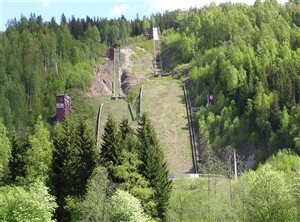 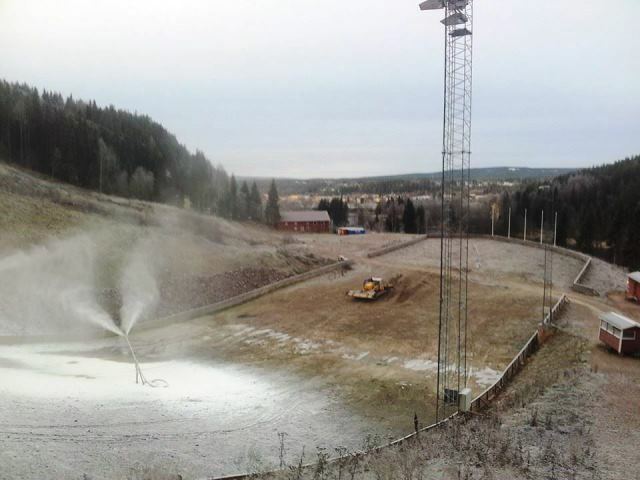 Additionally, the modernization and plastic covering of the smaller ski jumps into K60, K40, K20, K10 and of the infrastructure around the ski jumps was planned for overall 10 million crownes (1.4m Euros), as well as the construction of some cross-country trails for the organization of Nordic Combined competitions. 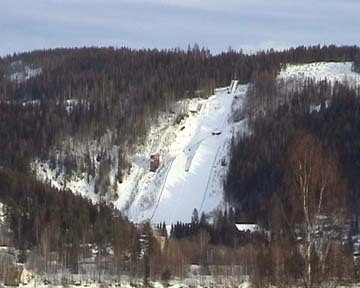 Only a short time after the construction works started in April 2009, the old judges' tower was burned down in June 2009. 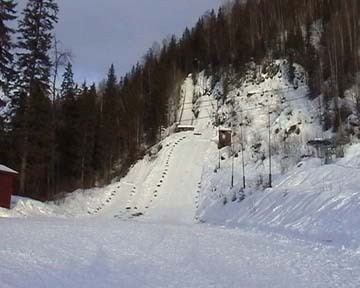 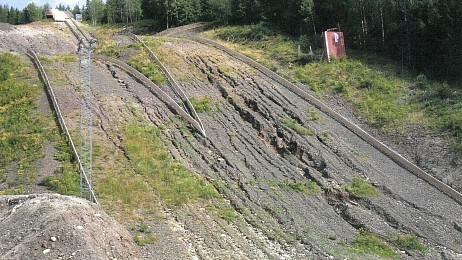 The large hill was supposed to be ready for jumping by October 2009, but the works were extremly delayed. 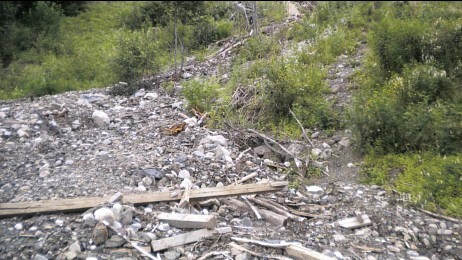 In summer 2011 heavy rainfalls destroyed the construction progress and arguments about the compensation costs followed. 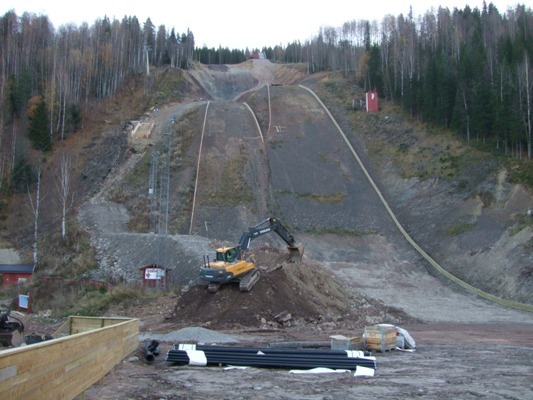 Just in time for the Norwegian Championships 2013, which were held on Renabakkene on November 17-18, 2012, the HS 139 and HS 111 hills were completed in September 2012. 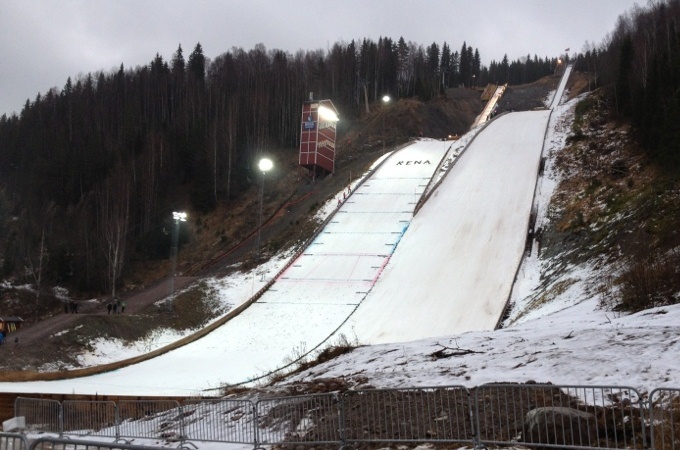 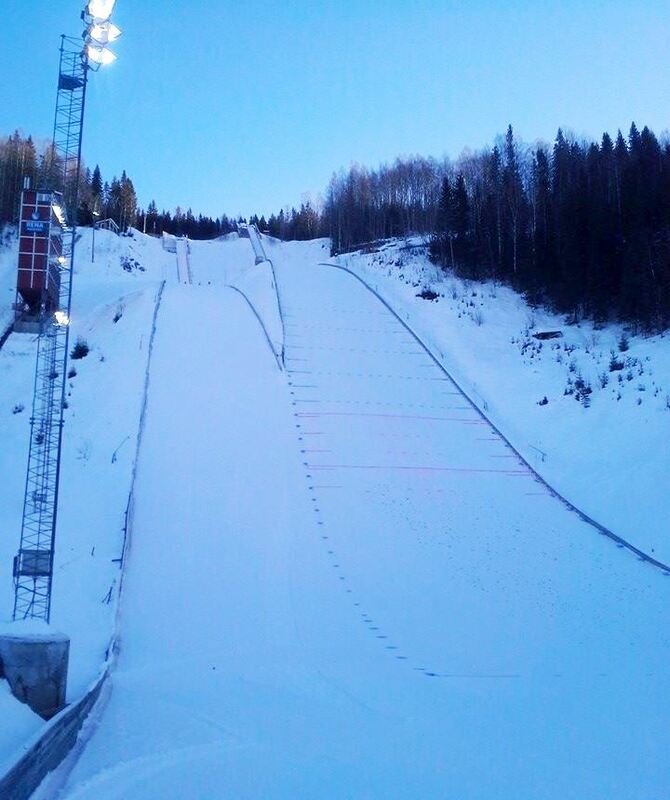 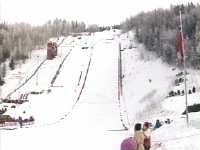 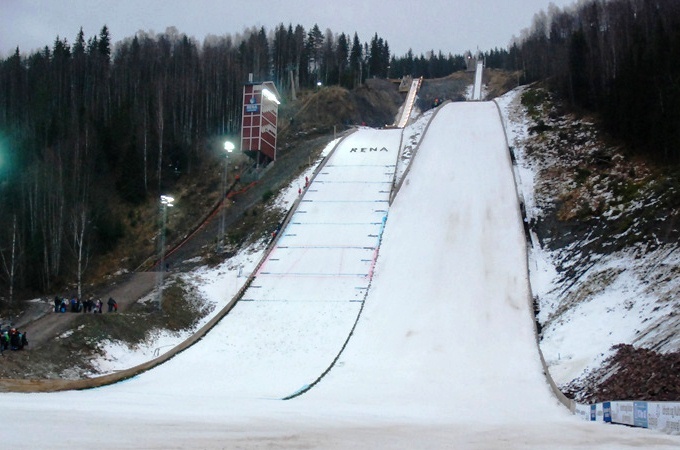 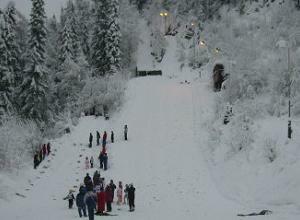 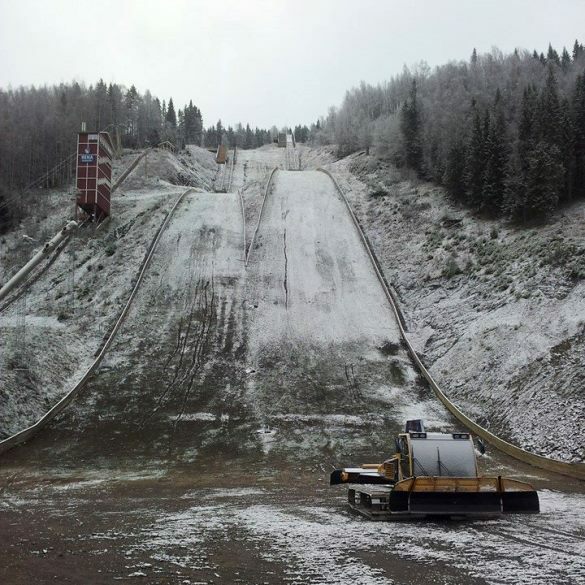 In December 2013 Rena hosted ski jumping Continental Cup for the very first time. 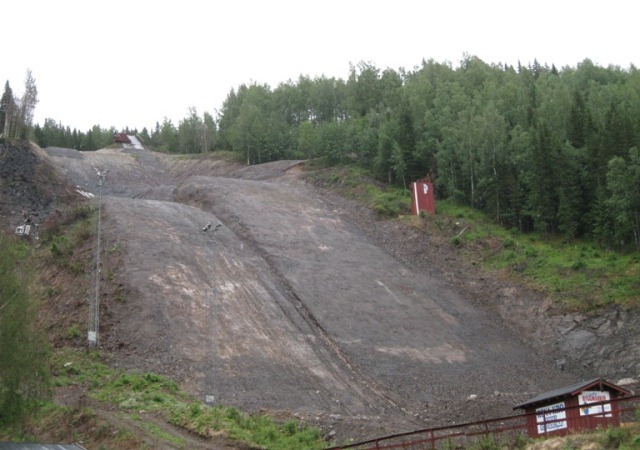 Finally, in 2016-2017 the junior hills were built K60, K40, K20, and K10 as a complement to the complex.